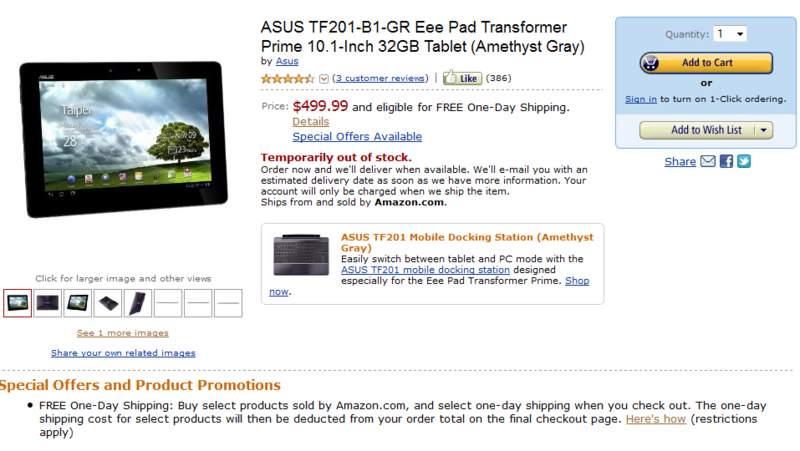 One of the hottest gadgets of this holiday season, the Transformer Prime (see our preview and review), is scheduled to be released the week of December 19th - that would be any day now starting today. In anticipation of the launch, Amazon re-launched pre-orders for all four color/size combinations after they went dark, disappeared completely, and even got cancelled in some cases shortly after the first wave was sold out. ASUS started filling the inventory pipelines this past week for our new Eee Pad Transformer Prime and will continue to do so on an expedited basis for the foreseeable future. We will reach normal inventory levels in January for the North American market based on current orders and forecasts. Based on forecasted supply schedules to our valued partners we expect pre-order allocation fulfillment to occur shortly and online or in-store availability in the very near future. We will continue to work closely with our partners to fill customer orders as quickly as possible. Update #2: All models are sold out once again. We'll monitor the situation and update the post as necessary. Update #3 12/20/11: All models are now available for order yet again, including the keyboard docks. Availability is currently set at 4-7 weeks, which may change depending on how fast ASUS can deliver the goods to Amazon. 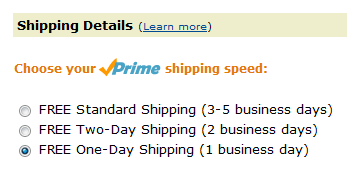 FREE One-Day Shipping: Buy select products sold by Amazon.com, and select one-day shipping when you check out. The one-day shipping cost for select products will then be deducted from your order total on the final checkout page. Now all we need is that "Temporary out of stock" blurb to change to "In Stock" in my favorite pleasant green. Thanks, Zachary Rodriguez and others!